Just 3 hours south of Perth you will discover a thriving country town that offers visitors the opportunity to experience Australia’s rural way of life that is also steeped in history. Explore this bustling rural town with its historic buildings and friendly atmosphere. Discover the proud heritage and links to the traditional custodians of the region, the Noongar Aboriginal people, with a visit to the award winning The Kodja Place. Kojonup lies in a rich pastoral district of farmland and native bushland. The area is filled with beautiful wildflowers in spring, and is home to many species of marsupials and birds. Absorb the peaceful beauty of the undulating hills with granite outcrops and scenic valley pools fed by the many streams that run through the region. Kodja Place incorporates the Visitor Centre, Kodj Gallery, Yoondi’s Mia Mia, Story Place, Rose Maze, and retail gift store featuring Noongar Art and Craft. The Kodj, an authentic Noongar stone axe, is the central and pivotal exhibit within the gallery. 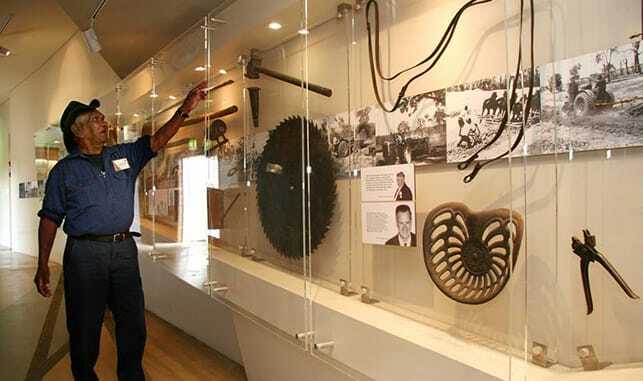 Traditional Noongar hunting implements set alongside early farming equipment illustrates the changes and the enormity of the achievements of our predecessors, how they lived, the tools they used to work, hunt and prepare food. The Story Place invites visitors to immerse themselves in the past and present through thematic spaces, photos and quotes; powerfully showing the harsh realities of life for both Noongar and Wadjela people. 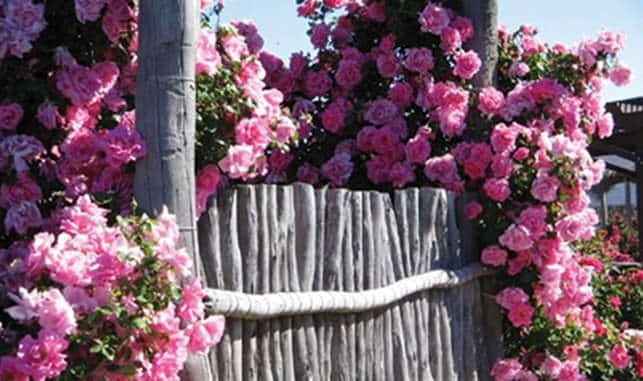 In the Australia Rose Maze threads of our local history are drawn together in the story of Yoondi, a symbolic Noongar woman. Yoondi’s moving life-story is one of Three Women’s Stories woven along the pathways of this inspiring garden. In spring visitors flock to Kojonup for wonderful bushwalks in the many reserves with their rich diversity of orchid species. Bird lovers can keep their eyes peeled for some of the 80 species of native birds found in the district. A Self-Drive Wildflower Tour Booklet is available at the Kojonup Visitor Centre. Mrs Myrtle Benn taught at the Boscabel School from 1931 until it closed in 1942, and then at the Kojonup School for another 30 years until her retirement. Her passion for nature, the environment and indigenous culture lead her to establish the Flora and Fauna sanctuary on the edge of town, with the help her students. Trail maps can be collected from the Kojonup Visitor Centre. The outcrops of granite throughout the reserve offer interesting collections of mosses, lichen and flowers. From September to October look out for Kojonup’s floral emblem, the red leschenaultia. The gravel outcrops are home to displays of the blue leschenaultia, the white candle flowers of the Stackhousia, as well as numerous orchids. Via the Blackwood Road. Built in 1845 as a Military Outpost, this is Kojonup’s oldest building. 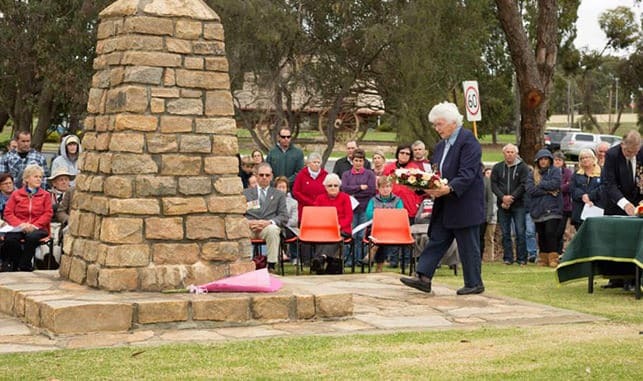 Now a museum, it can be accessed by arrangement with the Kojonup Visitors Centre. A joint project of Kojonup Rotary, Lion’s and Apex Clubs, the attraction was opened Australia Day 2000. The 1.5 times replica carries bales stenciled with the brands of local sheep farms. The statue and bridge are a national tribute to a man who inspired those under his command, though heavily outnumbered and out gunned, to fight a series of organised delaying actions along the Kokoda Track in New Guinea during August and September 1942. Built in 1952, the hall and the obelisk in the grounds have an aesthetic and social significance. They stand as a memorial to those people who contributed to the war effort in both World War I and World War II. The foundation stone was laid by Brigadier AW Potts. This stately building was built in 1926 in memory of the fallen of World War I, the memorial foyer features a stained glass ceiling and a marble scroll of honour bearing the names of the fallen and the local governing body. In the 1850s, returning soldiers were offered continued service guarding convicts transported from Britain. Elverd Cottage is one such home. It was built by William McDonnell in 1854. Now restored and accompanied by farm machinery, a blacksmith shop, a donated harness display and a typical cottage garden, this is one of only a few Pensioner guard cottages in Western Australia. Built in 1897, the Post Office served as a post and telegraph office, with living accommodation for the postmaster/mistress. In 1913, a new Post Office was built on Albany Highway and the Old Post Office became the headmaster’s accommodation, being next door to the primary school of the time.